Available in closed or open front. 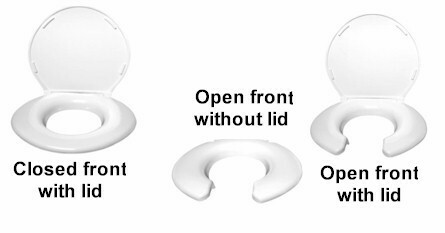 The open front is available with or without the toilet seat lid. The open front is generally used in public facilities such as hospitals, etc. 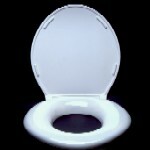 The closed seat model is available in either white or biscuit and is most often for home use.